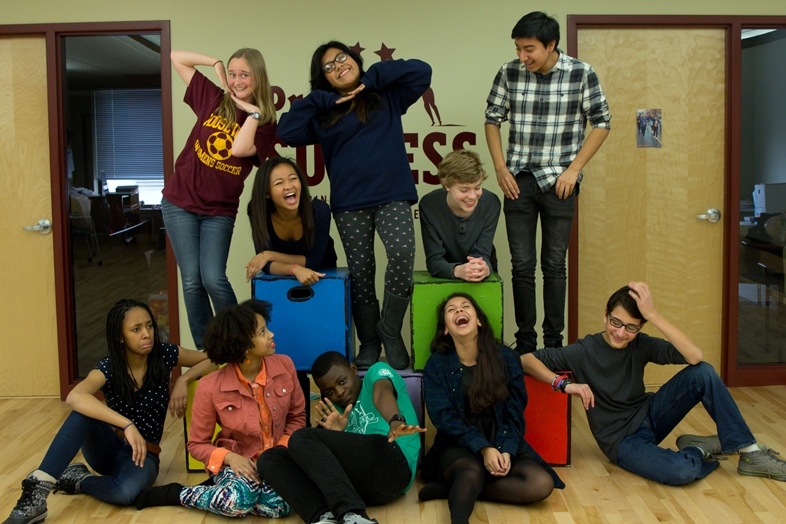 Project Success brought together 11 Minneapolis and St. Paul students to write and perform a new musical that addressees the challenges and concerns young people have about transitioning successfully from middle school to high school, and the importance of being true to oneself. The transition into high school can be one of the most important and intimidating steps in a student’s academic career. It is a time of deciding who they want to be and where they want to go after high school, and a personal journey that is as varied as the students who experience it. 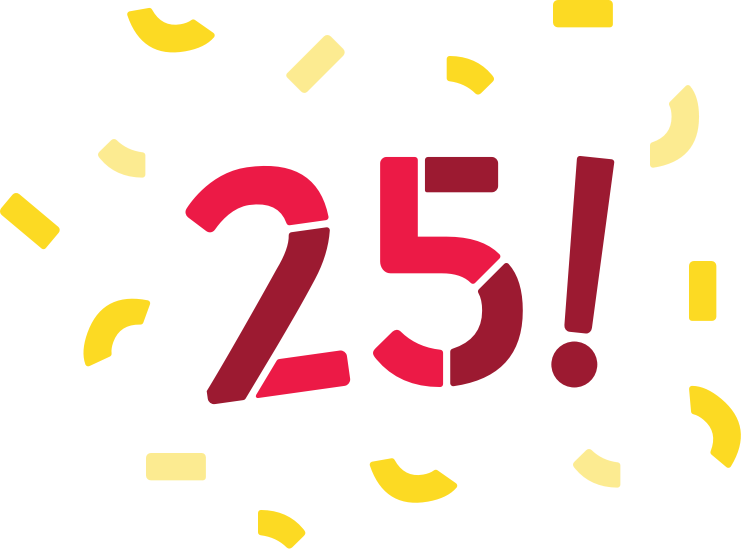 Research has shown that students’ experiences in their first year of high school often determine their success throughout high school and beyond. However, more students fail 9th grade than any other grade. For more than 20 years, Project Success has recognized the importance of a ninth-grader’s experience and developed curriculum to prepare and support students through this transition into high school. We have delivered this curriculum through in-class workshops, week-long summer camps for incoming 9th graders, and school-day events for current freshmen. 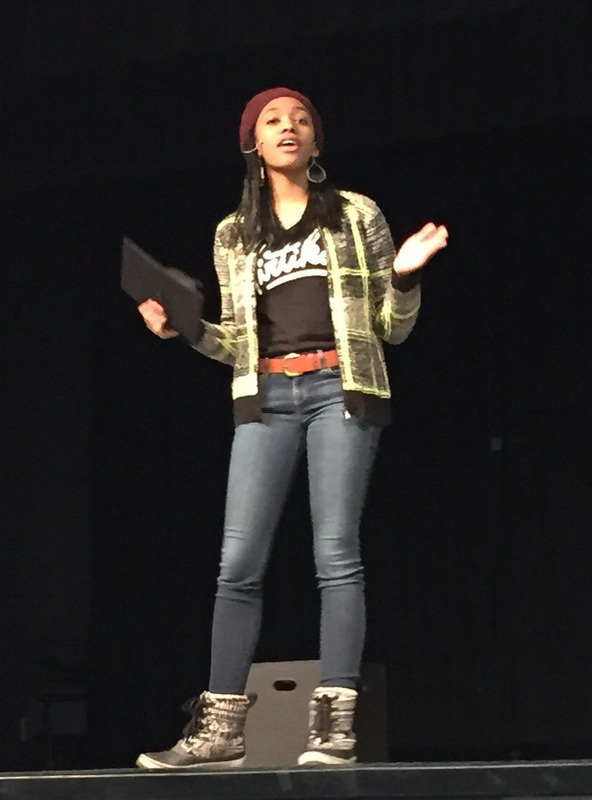 In January 2015, Project Success launched a new half-day experience for high school freshmen, to take place at their schools, and centered around a new multi-media stage production, “And So I Did,” written and performed by Minneapolis and Saint Paul students sharing their own personal journeys leading into and through the 9th grade transition experience. Beginning in August 2014, our cast incorporated their personal stories and feelings into the show as a way to dispel the myths of high school, create community around the shared experience of transition, and empower each student’s commitment to their own true self. The show not only explores the individual journey of each performer, but also expands on the universal themes of transition, the desire to belong, and the pursuit of personal fulfillment. The experience premiered at Washington Technology Magnet School in St. Paul and was brought to all 2,700 Saint Paul Public School 9th grade students throughout January and February 2015. Since then, the show has evolved along with the cast members’ experiences throughout high school and has been brought to more audiences. In February 2016, they took the show on an international tour to perform for thousands of local students, community members, business professionals and local leaders in Mexico. You can read more about this experience in our blog post, Embracing Global Perspectives, ‘And So I Did’ Tours Mexico. 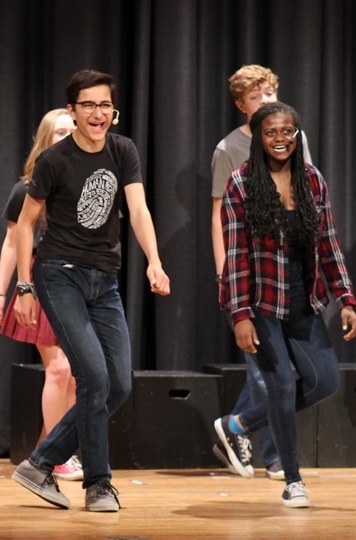 In May 2016, the cast performed a refreshed version of “And So I Did” for eight grade students attending Franklin Middle School at the neighboring North High Academies in Minneapolis as part of the GEAR UP grant program for Minneapolis Public Schools. Students then participated in a round of workshops to reflect on their upcoming transition to high school. The cast also performed for eight grade students at Humboldt High in St. Paul, sponsored by Ecolab Foundation. The performances included a talk-back with the cast, and students asked questions like “Have you ever changed your style to be like the other kids?” and “How do you manage your time in high school?” The cast shared their real experiences, and assured the students that they can do this if they believe in themselves, ask for help when they need it, and support each other. The stories shared in the performance have provide a springboard for discussion and personal storytelling, goal-setting and community building, which has been led and facilitated by trained staff in Project Success-designed workshops for the eight and ninth grade student audiences. The students have set academic and personal goals for themselves along with making commitments to their community of fellow classmates. Ultimately, our goal with “And So I Did” is to foster an environment of unconditional support as students prepare for and experience their transition into high school, where every student feels safe and supported in the most effective way possible, and inspired to incorporate that supportive attitude into his or her daily actions towards each other.